NGT directed the project proponents to make a categorical statement and inform it about the exact number of trees proposed to be cut for the redevelopment project for about half a dozen colonies. NEW DELHI: Not a single tree would be cut and status quo be maintained on tree felling till further orders in seven South Delhi colonies by the Ministry of Housing and Urban Affairs and the National Buildings Construction Corporation, the National Green Tribunal directed today. "Therefore, even though we give sufficient time to the project proponent to file their replies to the interim relief, but we are satisfied that a prima facie case is made out for grant of ad-interim order in the nature of protective order so as to protect environment and its preservation is essential. 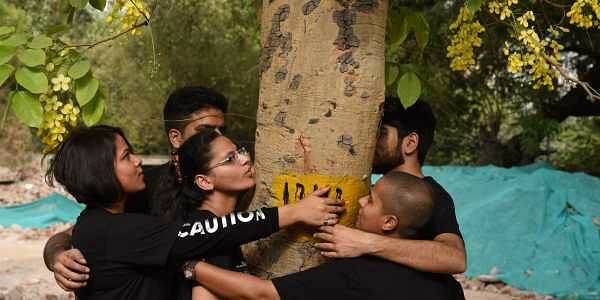 "Hence applying the precautionary principle, we direct the Respondent No.1 and 2 to maintain status-quo, particularly in the matter relating felling of the trees and direct that there shall be no felling/cutting/destruction of the trees till further order by this tribunal," the bench said. The projects will also develop government office accommodation of nearly 2.42 lakh sq m in Netaji Nagar. The total estimated project cost of Rs 32,835 crore includes maintenance and operation costs for 30 years and will be completed in five years in a phased manner.